Many people do not realize that asthma can be work-related. Occupational asthma is quite common, although it is difficult to diagnose. In some cases, work exacerbates or aggravates pre-existing asthma. Some work settings that may trigger asthma are factories, fish or shellfish processing plants, pharmaceutical manufacturing sites, construction sites, farms, laboratories, and foundries. If you are suffering from work-related asthma, you may be entitled to receive benefits that can cover your medical expenses, lost compensation, and other losses. The Boston workers’ compensation lawyers at Pulgini & Norton can advise you on your rights and options. Occupational asthma occurs when an inhaled substance sensitizes the employee's airways so that being exposed to the same substance later triggers coughing and wheezing. However, in some cases, an employee suffers from asthma as a result of exposure to irritants, such as volatile acids. This also can trigger asthma symptoms like shortness of breath and wheezing. Often, occupational asthma claims are contested. If the asthma is truly caused by work, it is compensable. However, an insurer may try to find some other reason for the asthma. For example, if you are a smoker, the insurer may claim that the smoking rather than the work is the source of your asthma. An employer that knows you go outside for cigarette breaks may be able to present witnesses as to your smoking. The insurer will likely retain an expert who can review your medical records and testify to this effect. It is common for an employee who claims occupational asthma to encounter a denial from an insurer. An insurer needs to provide you with reasons for denying your asthma claim. You will have a certain timeframe within which to initiate the dispute resolution process with the Department of Industrial Accidents (DIA), which administers the workers' compensation system. 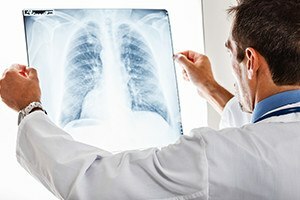 Although you can try to navigate this process by yourself, in the case of a denial in connection with occupational asthma, it is wise to consult an attorney and obtain representation. In order to recover benefits, you will likely need to submit to what is known as an independent medical examination. The insurer will pay for the exam and choose the doctor conducting this exam. It is important to realize that although the exam is called "independent," insurers rarely choose impartial doctors to conduct this type of exam. The insurer usually chooses a doctor who is more likely to write a report with opinions that would allow the insurer to deny the claim. Nonetheless, if you receive a written notice of the exam, you must comply. The notice will include the date, the time, the location, and the name of the doctor who will conduct the exam. The insurer is supposed to reimburse you for your travel expenses in connection with attending this visit. If you do not attend the exam, the insurer has the right to stop paying you weekly disability benefits. It is important to obtain representation from an experienced Boston workers' compensation attorney if you have a claim of occupational asthma. At Pulgini & Norton, we can make sure that your case, including testimony from your own treating physician and other witnesses, is presented appropriately to the administrative law judge. We represent people in Braintree, Malden, Newton, and other Massachusetts cities as well. Call us at 781-843-2200 or contact us via our online form for a free consultation with a workplace accident attorney.